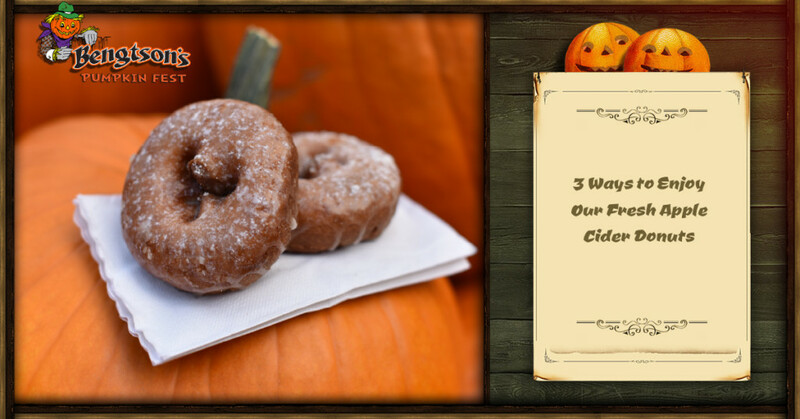 For as long as we’ve offered them, fresh apple cider donuts have been one of our biggest pumpkin farm attractions! There’s just something about taking that first bite after a spring and summer away that instantly brings fall into perfect focus. For many, fall brings excitement about flannel shirts, blue jeans, and boots, but if you’ve ever had one of our apple cider donuts then you know just how essential they are to the fall experience! As great as they are on their own, we thought we’d do a few experiments with our donuts to see how else we could use them, and fortunately we’re sharing those results in today’s post! It’s just one of the ways that we strive to be the best pumpkin farm in Chicago. If you love our fresh apple cider donuts and you’re intrigued by our culinary experiments, keep reading to learn more! Have you ever met someone who doesn’t love tiramisu? Neither have we. Is it possible to make tiramisu even better? We didn’t think so until we tried this awesome donut tiramisu recipe from the good people over at the Food Network. All you have to do is combine mascarpone cheese with confectioners sugar, coffee liqueur, vanilla extract, heavy cream, coffee or espresso, and a dozen of our famous fresh apple cider donuts. The end result is truly amazing and the hardest part is waiting the required four hours of time that it needs to spend in the refrigerator before digging in. Either way, having apple cider donut tiramisu is a treasure and we think that you’ll love it just as much as we do! If you subscribe to the notion that everything is better with ice cream then you’ll absolutely love this idea. Ice cream sandwiches are never a bad thing and whether you enjoy them with sugar cookies and strawberry ice cream or chocolate cookies with mint ice cream, they’re always a treat. Hear us out here. What if you replaced the cookie with a donut? It’s a win/win if you ask us! All you have to do is carefully slice a donut in half, top it with your favorite ice cream, and serve. It doesn’t get much better than that. Our recommendation is to choose a vanilla ice cream, but it’s also great with coffee ice creams and fruit-flavored ice creams as well! What goes better with a donut than a cup of coffee? There’s nothing in the world like this combination and if you’re going to have one of the best donuts on the planet then it just makes sense to drink the best coffee as well. If you’re planning to visit our pumpkin patch then you’ll be joining us here in Homer Glen. Fortunately you can get an amazing cup of coffee just down the road in Lemont from the team at Higher Grounds Coffee Company. A quick look at this company’s reviews will tell you all you need to know and the fact that you can take half a dozen of our apple cider donuts home with you means that it’s a breeze to enjoy such a classic combination. They even offer free wifi and board games so you can spend a bit of time relaxing! It doesn’t get much better than that. Yes, our apple cider donuts are the talk of the town, but they’re only one of the many reasons that people visit Bengtson’s Pumpkin Fest each year. Whether 2018 is your first year here or you’ve been a regular for quite some time, our donuts are always a highlight. As you probably know, you’ll have an impossible time eating just one, so why not take some to go? They’re available in the Big Red Food Barn, The Donut Shack near the Fun Slide, and if you want to take some to go so you can try our suggestions above then we have 6 packs ready to go at Pumpkin Sales/Exit area. Swing in today to grab some and enjoy the rest of our pumpkin patch’s attractions while you’re here. We look forward to seeing you!